One billion people live in around 200,000 slums worldwide, half of them are wet slums located next to the water and are vulnerable to floods. Past initiatives have sought to eradicate slum dwelling and build anew upon the land. 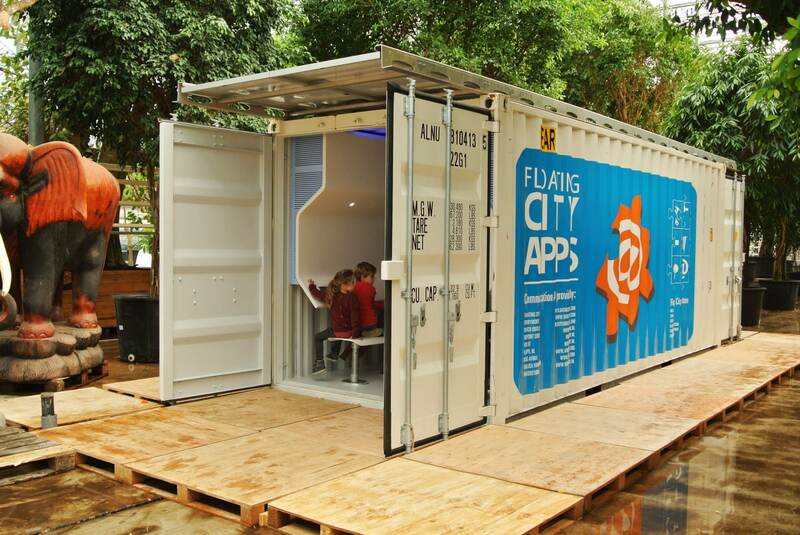 Floating City Apps upgrades wet slums with add-on amphibious architecture in the form of shipping containers afloat on thousands of plastic bottles. 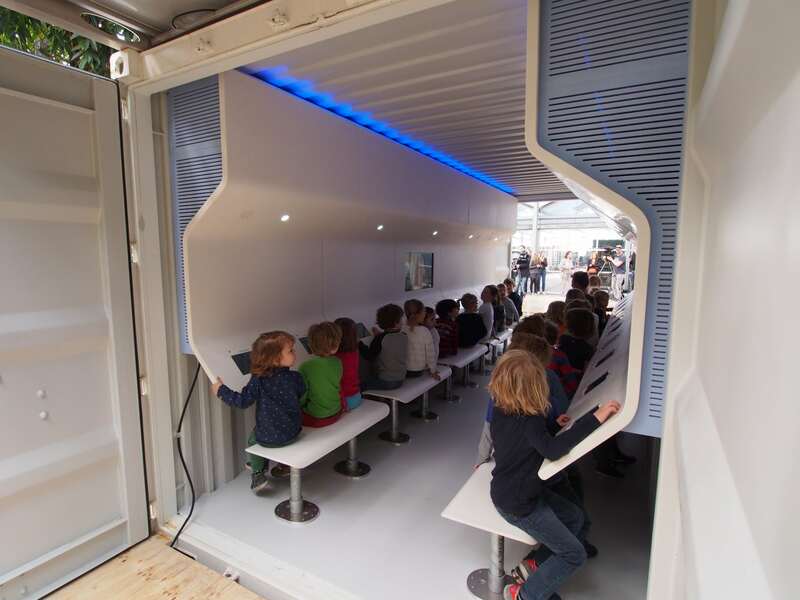 The units are assembled by the slum community, making construction simple and affordable. 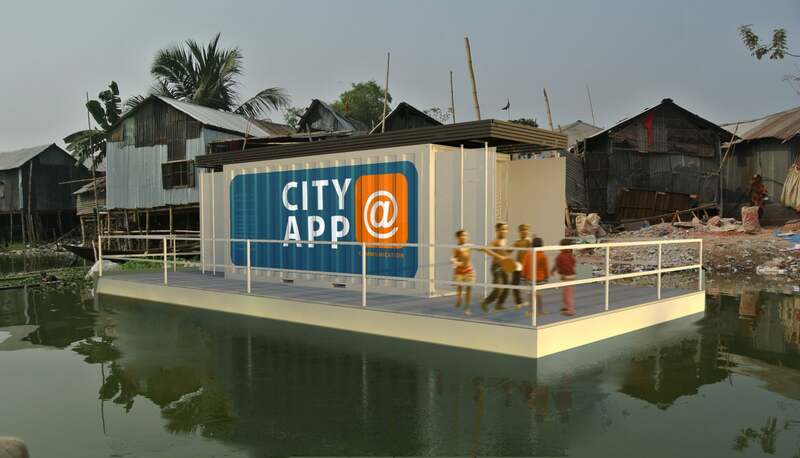 Improving the ability of the community to function better through key areas such as communication, health care or waste disposal hubs, is described as a “bottom-up design approach that can become small scale catalysts for change.” Floating City Apps sets a new standard in innovative yet simple design that will breathe new life into under-resourced communities. Tags: Apps, Architecture, Housing, Water.